Frankenmuth is a Bavarian town located in central Michigan. There are all kinds of cute little street front shops that sell everything from popcorn to chocolate, from jewelry to herbs. With festivities year around, it is a nice place to take a tour or spend a relaxing weekend with family and friends. However, the streets can be super crowded with people when a certain festival is going on. We always prefer to go there between holidays and festivals, so that we can really relax and enjoy the historical culture and beauty there. Shortly after we arrived, it became windy and cloudy last weekend. So I took most pictures indoor. Everywhere you look, you can see local beers and wines. Pecan cinnamon rolls. The rolls may have been sitting on the countertop for too long that they are kind of tough to chew. This is one of the famous chicken dinner restaurants. It becomes a landmark for Frankenmuth. The bakery is also a must see. A lady was preparing funnel cake. With her permission, I took a couple pictures. After deep frying, sprinkle them with powder sugar. You don’t know that Michigan is famous for its cherries? Alright, let’s remind you that by adding cherry to coffee! Window shopping is also fun here! It was Easter last weekend, so there were a lot of eggs and bunnies. 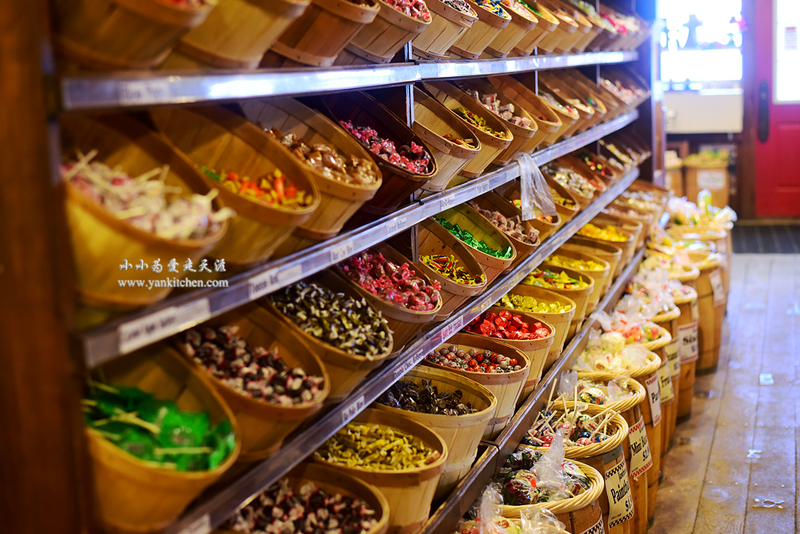 To me, Frankenmuth equals sweet candy heaven! The sesame crunch is our favorite. They are so crunchy, sweet and loaded with toasted sesame. Pop corns come in all kinds of colors too. 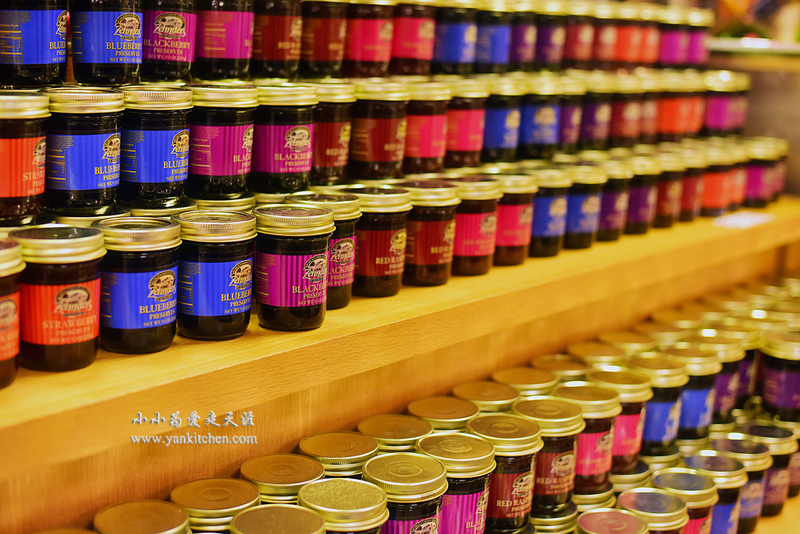 Fruit jams are popular here too. Live show about how to make fudge. Ok, it was dinner time. We went to a local brewery by the river. They offered beer tour too. I double checked with the tour guide that taking pictures was ok.
That is how beers are made. Storage room was smaller than I thought. We were not sure which one to order so we ordered a sampler set. They were so beautiful that I couldn’t help taking a bunch photos. He ordered a Philly steak sandwich. It was very good. The steak was thin and juicy. Flavor was awesome. However, it was a little bit too salty for our taste. The potato fries were awesome. They were hot; crunchy and crispy on the outside, tender on the inside. My Reuben sandwich is great too. The corned beef was very tender and juicy. We switched with each other with half of our sandwiches. The Cheese Hut is also a must see little store. You will find a lot of interesting things here. The clouds began to clear up. Time to go home!